facebook:2218 hotels on facebook pages in Japan. used graphAPI with PHP. Here is a lot of ids on facebook pages. The list contains over two thousands ids of facebook pages in Japan. It was found with graph API + PHP, today. It will be redirected the first example.... and you can find a facebook page of a hotel in Japan. Each line has formed sequential number(started 0 for each prefecture), prefecture name, face book page id. Thanks for PHP and facebook graphAPI. On and after 28th. April 2016, JR Okayama st. bus terminal(East-gate) changes its bus stop formation. For Saidaiji, Hoden(Inujima) is No.10 stop of East-gate. Loincloth figure of men to contend for "SHIN-GI"(wooden sticks with fragrance)　called "HADAKAMATSURI" will climax at 10 pm February 20, 2016. The festival is a "celebration", but it is similar to the battle to compete for treasure "SHIN-GI". Saidaiji-staion （JR Ako-line) is the nearest station. For Saidaiji Bus Center(terminal) or Saidaiji-eyoh(temporary one night TERMINAL for the Hadaka-matsuri.) is good to visit. From JR Okayama Bus terminal(east) No.9 is avairable to . Be careful:No.9 bus stop is shared with other destinations. The temporary one night TERMINAL for the Hadaka-matsuri is extended for Saidaiji-bus-center line. 'Hadakamatsuri'(裸祭) in Japanese means 'naked festival' in English, but it is not a satisfactory translation . What do you imagine about this 'Hadakamatsuri'? In 2014, this festival takes place at Kan-non-in（観音院　Okayama, Higashi-ku, Saidaiji) on the 15. February. At 22:00, lighting of Kan-non-in is turned off, 'Singi'(宝木　treasure wooden bars) is dropped to men. Men who win the battle of 'Singi', it is referred to as 'Fukuotoko'(福男　happy men). To be able to participate in this festival, it's men who wearing only socks and loincloth. So the festival is called 'Hadaka-matsuri'. 'Kan-non-in' is also called 'Saidaiji'(西大寺). 'Saidaiji' is not only a temple name but also a railway station name, a bus terminal name. From Okayama(岡山) to Saidaiji is available to use JR Ako-line. Okayama, Nishigawara-shujitsu, Takashima, Higashi-okayama, Oodara, next is the station 'Saidaiji'. After arriving Saidaiji, take a walking for 10 min. From a bus terminal of JR Okayama station to Saidaiji bus center(西大寺バスセンター) is available to visit the festival. Only the day, the bus line is extended to near Kan-non-in. Inujima is an island on Setonaikai(inland sea). After 4th. Nov. 2013, the direct bus line from Okayama station to Nishi-hoden bus stop is not available. This article inform another time table to you. JR Saidaiji Station, or Ryobi-bus Saidaiji Bus Centre is a remarkable place. If you would like to enjoy Inujima longer, it is strongly recommended to take a bus on 10:00 Bus at Saidaiji Bus Centre or 10:05 bus at JR Saidaiji Eki Bus Stop. ↓head view to Hoden Line Bus（There may be other displays, but all right if there is '宝伝'(Kanji-characters. pronunciation is 'Hōden’). Inujima is an island in Setonaikai(inland sea). There is held "Setouchi Triennnale 2013" until 4th. Nov. 2013. This article shows you how to visit Inujima after that. Though you are now in Tokyo, Takamatsu or others, the starting point to Inujima is JR Okayama Station. In fact, there are some other ways, please understand for make to simplify the explanation. There are two bus-terminals around JR Okayama station. HIgashiguchi Bus Terminal is also called 'Okayama-eki Bus Terminal'. Other terminal 'Okayama-eki Nishiguchi Terminal' don't have No.9 platform. 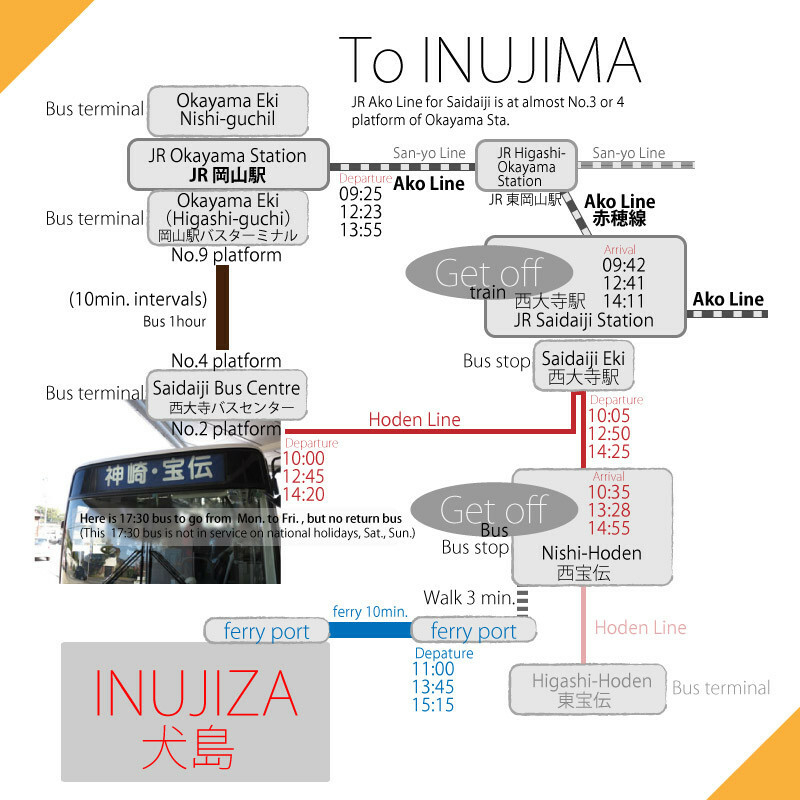 There is no direct bus line to Inujima on and after 5th. Nov. 2013. "Setouchi Triennnale 2013" is closed 4th., and special direct bus is not operated from 5th. So, take other way to Inujima from No.9 bus platform. Take a bus to 'Saidaiji', not 'Okayama International Hotel / Okayama Kokusai Hotel)'line and 'Sohnan-danchi'line. There are two bus lines to Sadaiji at No.9 platform. Both line is available to Saidaiji. You may spend for about 45min. on the bus. Get off the last stop. It is 'Saidaiji Bus Center' and spend 390yen for the bus fare. There is a bus line called 'Hoden'. 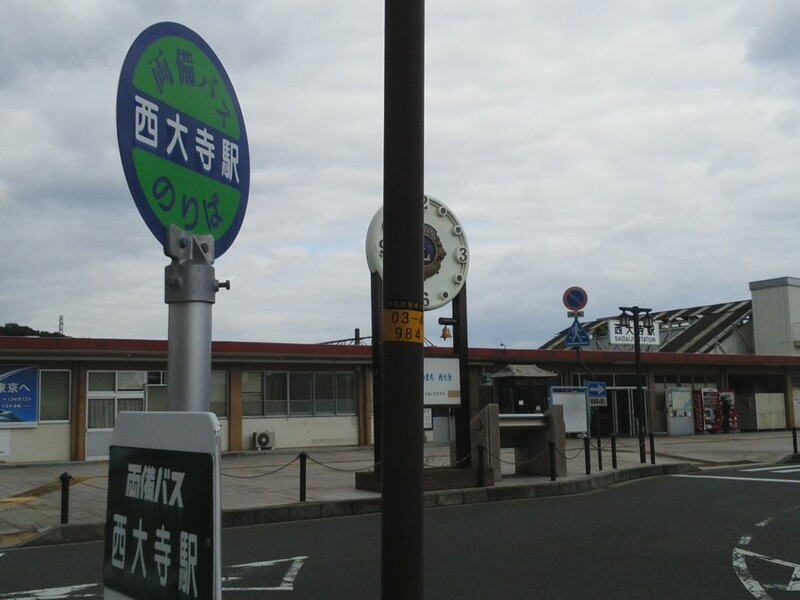 'NIshi-hoden' bus stop in Hoden line is convenient to visit Inujima. No.2 is the platform of 'Hoden' line. It seems to me that a departure time 17:30 bus is not available to return from Inujima. It is no problem, if you have reserved accommodation at the island. If you want to get on the 10:00 bus of Hoden line at Saidaiji B.C., it seems to be OK that you get on 08:57 bus of No.9 platform at Higashiguchi B.T. At Nishihoden bus stop: walk to a ferry port with others. When getting off the bus at Nishihoden Bus Stop, most of people also goes to a ferry port. Of course, the port is of Inujima ferry. Walk to the ferry port with others for 3 min. 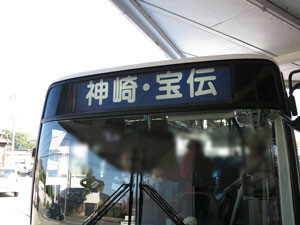 The ferry departure time is related by the bus arrival time. Hello! everyone. Welcome to Okayama! Where are you from? From Korea by Korean-airline? From Shanghai in China?